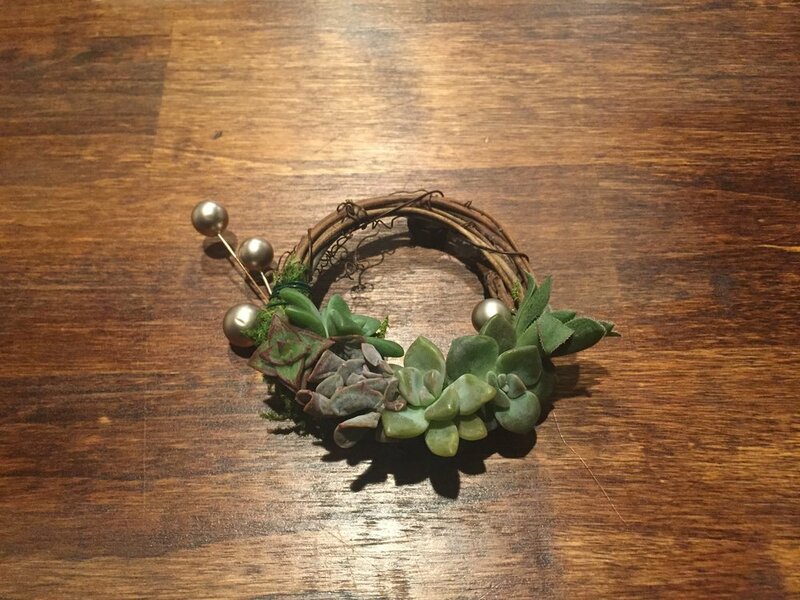 Join me and FERN for a fun and creative living succulent mini-wreath workshop! Everyone will leave with (at least) 2 mini wreaths that make the cutest gifts! Light refreshments will be provided. Note: You can make your mini wreaths into either ornaments or magnets or one of each! These living wreaths will thrive with a simple mist of water every 7-10 days, and bright, indirect light. After the holidays you can replant your succulents into little pots or directly into your garden! Succulents are truly the gift that keeps on giving!